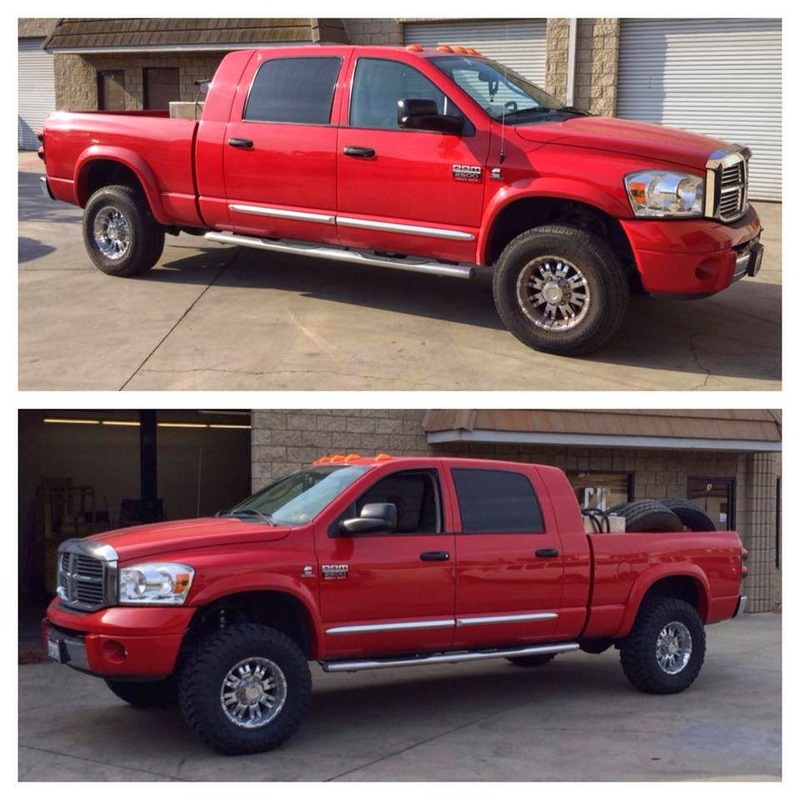 When researching which suspension system is right for your truck, the first question many people ask is how it will look once installed. To help give an idea of what how some of these kits sit, we have included some pictures of our more popular kits we install from the past few weeks. First up is a Carli 2.65 ACV 6" Suspension System on a 2009 Cummins Mega Cab. This kit features Bilstein 9100 remote reservoir shocks front and rear with ACV's and check valves, Carli Suspension Full Progressive Spring Packs, and a Carli Suspension Torsion Sway Bar. Immediately following the installation of this kit, we accompanied its owner to the Glamis Sand Dunes to put the truck through its paces. The truck rode incredibly on the highway to the sand dunes and was even more impressive off road, where it soaked up large whoops and dips with ease. 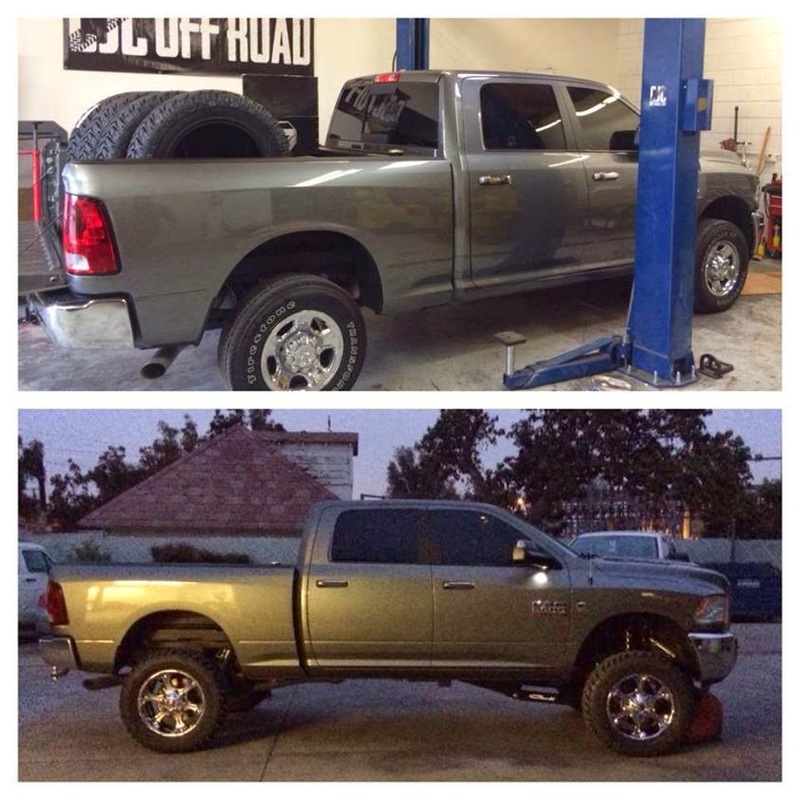 This particular Mega Cab lived the first 100k miles of its life on stock suspension. The owner was unhappy with the ride quality and looking for something that would offer improved comfort on rural roads. We suggested a Carli Suspension Pintop 2.5 3" Suspension System, Carli Suspension Full Progressive Spring Packs, Carli Suspension Mild Steel Control Arms, and E Rated Toyo Open Country MT 35x12.5x17 tires. Carli's Pintop 2.5 system offers the significant increase in ride quality and performance seen by other King 2.5 systems without the added cost of replacement shock towers. After a test drive around the block, the owners were all smiles and couldn't believe the improvement in ride quality. 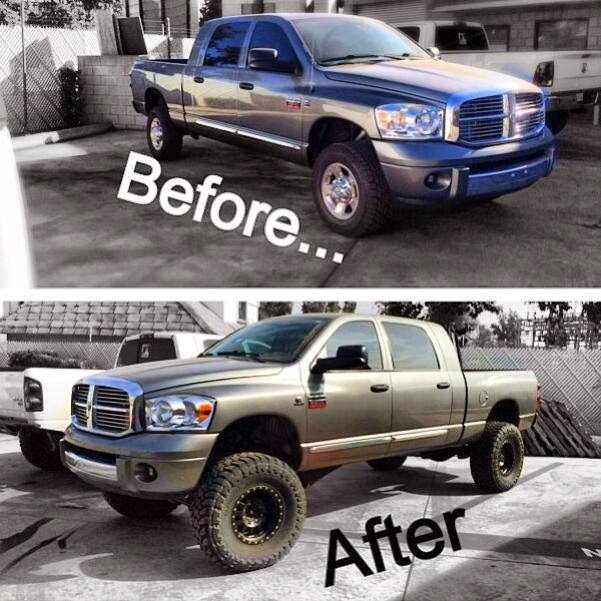 The owner of this 2013 wanted to lift his truck but didn't want the ill effects that most lift kits for these trucks offer. We suggested Carli Suspension's Back Country 2.0 6" Suspension System along with Carli Suspension Full Progressive Spring Packs. This truck runs E rated Khumo 35" tires and offered a night and day difference in drivability. We were extremely pleased with the outcome and are very impressed with the ride quality of the Back Country system - both on and off the pavement.